For many men, wearing a beard is a means of self-expression, a way to show their masculinity. However, new research shows that your beard might be saying more about you than you realize, and it might not be the message you want to broadcast to the world in the first place. It this article you can see all the benefits of having a beard vs non-beard. There’s a preconception out there that wearing a beard means that you’re an alpha male. Beards are associated with more testosterone, which plays into that quintessential maleness. However, there are also negative implications here. Testosterone is also associated with aggression, anger and rage. This one should come as no secret – wearing a beard can make you look up to 10 years older (more, in some cases). While that’s probably not an issue for 20-somethings looking to make themselves appear more mature, it could be an issue for older men. This is particularly true with bushier beards and graying facial hair. If you’re looking to stave off the signs of aging, shaving that facial hair is probably the best bet (or you can trim it and dye it). 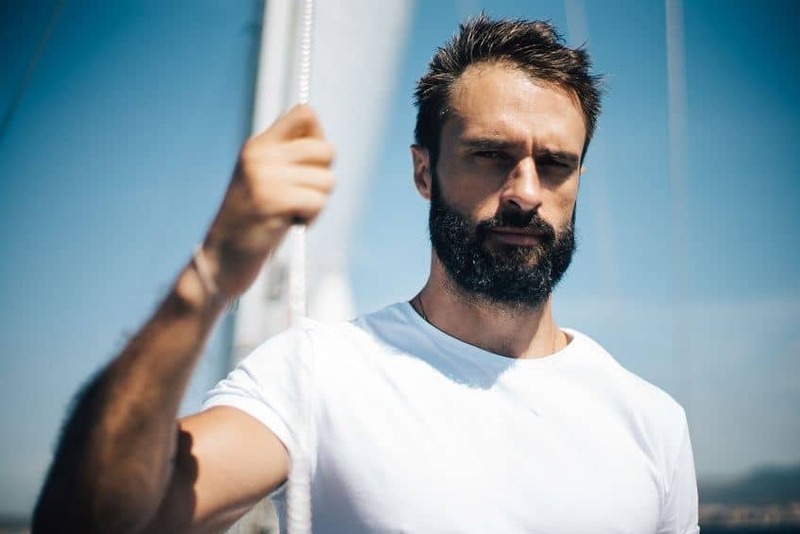 While a well-trimmed, neatly groomed beard doesn’t necessarily make you seem stand-offish, most people find men with bushy big beards somewhat intimidating, and there’s the sense that they are less willing to be social than their clean-shaven comrades. 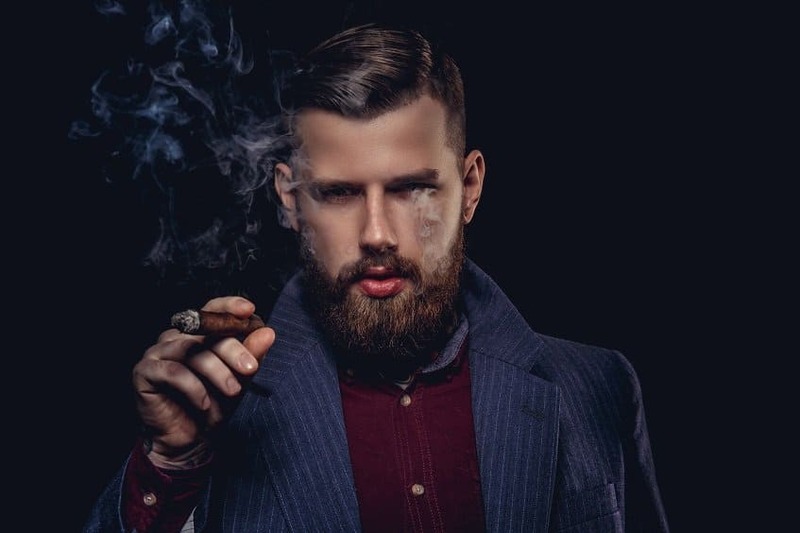 Of course, this is totally superficial – we all know men with huge, bushy beards who are gregarious, generous and very social, just like we know men with no facial hair with the social skills of a stump. More important than length or style is how well you groom and maintain your beard. 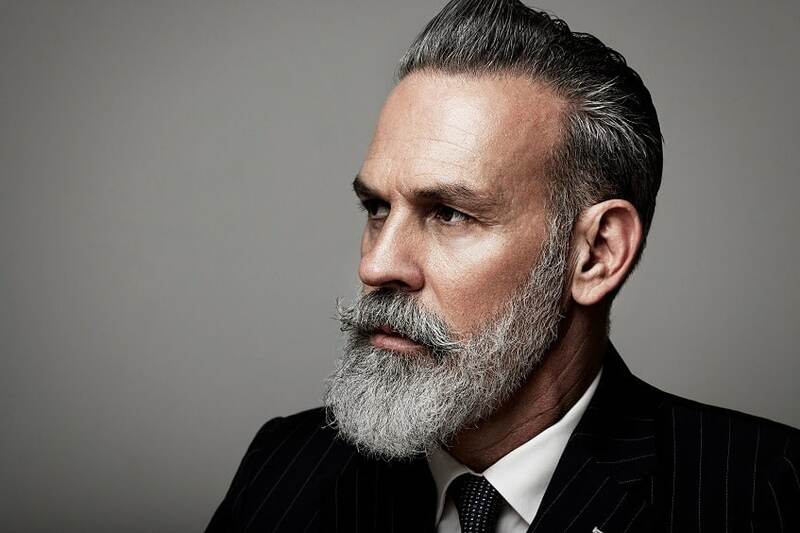 A large beard properly maintained can look quite dashing while a shorter beard that isn’t properly maintained can look slovenly. There’s a lot to be gained from using the right products to care for your facial hair. For instance, beard oil or a good beard balm can do wonders for unruly facial hair, but both can also help treat beard dandruff (a real thing that can leave you looking like you don’t care how presentable you are). Whether you prefer a chinstrap, a bushy beard, or go for mutton chops and a mustache, your facial hair says a lot about you. What’s your facial hair telling the world? Photos from: Vladimirs Poplavskis © 123RF.com and kantver © 123RF.com. I personally decided to grow a beard because I wanted to look a little older. I look like a 20 year old teenager if I shave. I decided to grow a full beard when I turned 50. I always had Circular Beards or just a stash. 7 months into my full beard and I really wish I had done this sooner. Yes I have received my fair share of “Ho-Ho-Ho” comments and are you getting ready for a Santa Claus Christmas. All in all I just shrug off the negative comments and enjoy my beard the way it is. Love having it and will continue to grow it. I grew a beard at the age of 30, specifically to look older. Now 37 years old, I still get ID’d in the rare instances where I’m clean shaven (last time was two years ago). The beard is not a part of me. While I might one day shave it off again, it’ll be back within two weeks. I wear a beard and I’m in my 60’s and fully gray. I started wearing a beard in my 30’s. I shaved it off one time when my children were young and they didn’t recognize me and my coworkers said grow it back fast. Because i didn’t look as authoritative without it and i worked in a professional setting until I retired. I don’t give a damn what people think about my beard. I really feel people are afraid of men just being male. I guess people see a man wearing a bread as not being in touch with his feelings. Nothing could be further from the truth. I started growing a beard after I had facial surgery. I found shaving made my face hurt more. So I thought, *f**K it* the beard stays until the wounds heal. After the wounds I found loads of people were complimenting said beard, so here I am 18 months later and I woldn’t be without my beard now. I grew my beard when I was 20 (over 40 years ago). I was going on a three week backpacking holiday and shaving while wild camping was impractical. I stopped shaving two or three week before the holiday to get past that ‘early beard itch’ before I went away. By the time I got back, I had a really good growth. Back then, all my heroes had beards (Chris Bonnington, Doug Scott, Billy Connolly and Jethro Tull’s Ian Anderson). I loved having a beard. It has been many different lengths/shapes/styles and, in recent years, colour,but I havent shaved since 1976. I can’t imagine being beardless. Now I’m retired, a long white beard also provides some handy seasonal work at Christmas time!